Hi there, I’m Melissa Hereford. I live just north of the Golden Gate Bridge in Marin County, CA. where the hot tub and the mountain bike were invented, where Robin Williams lived and Jerry Garcia died. We’re known for creative thinking. Many of us telecommute or have our own businesses (I’ve done both! ), so you’ll rarely find a seat at the good cafes in town. I grew up in Dallas, Texas, but have lived in the San Francisco Bay Area since I graduated high school. That was a few years ago now and I’ve been in CA for (much) longer than I was in TX! Lucky me, I found someone who has tolerated all my weird and annoying habits for almost 25 years, my husband Alan. My son doesn’t have a choice but he tolerates us enough to enjoy the cool vacations we take him on. Follow me, MelissaHereford on Instagram to see pics. He’s a teenager now and I marvel at how he and his friends are so smart, funny and engaged with their world. I founded Negotiate With Confidence to help you get what you want out of life, at work and at home. Be yourself. You don’t have to change who you are to fit in, to be more like the guys, to adopt a style that makes you feel icky. Get what you want. What DO you want? Get clear about what you want and then ask for it in a way that makes you feel great! Build stronger relationships. Use communication skills to build stronger, more authentic relationships with everyone in your life, at work and at home. I’ve been teaching business professionals how to negotiate for more than 23 years. I’ve created and customized classes for people all over the world, with one outcome in mind: to get more of what you want while building stronger relationships. I spent my career teaching sales people how to negotiate with customers, purchasing people how to negotiate with vendors and internal team members how to get agreements that are long-term and sustainable. If you learn how to negotiate from a lawyer or mediator, most of the time they’re helping their clients work through one deal, not creating a long-term relationship. I will teach you how to use negotiation skills for the long-term, ongoing relationships with the people you work with, day in and day out. Before offering this class, I spent 20+ years teaching these skills to professionals all over the country. I understand the negotiation challenges of employees at Fortune 500 companies like Hewlett-Packard, GE, Sherwin Williams, Oracle, Cisco, Owens Corning, Allergan, DuPont, and Unilever (to name a few). I’ve had participants tell me after every.single.class that these skills changed their life for the better. 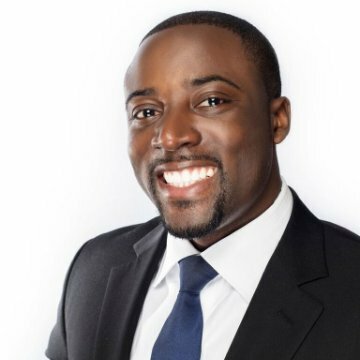 You don’t have to work for a Fortune 500 company to get access to the skills. Click HERE to learn more. Rejection can stop us on our road towards our dreams. One “No” can send us spiraling. However, every negotiation starts with a “No”. So where do we go from there? 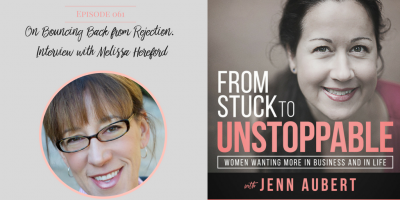 In this interview, Jenn Aubert of LearnSavvy is chatting with Melissa Hereford on understanding rejection and how it is in invaluable tool when it comes to negotiating and actually getting what you want. Melissa shares the three things to consider along with the three corresponding actions to take that you can incorporate any time you ask for something or need to negotiate. A lot of women feel powerless like “they don’t have a choice” in life situations. 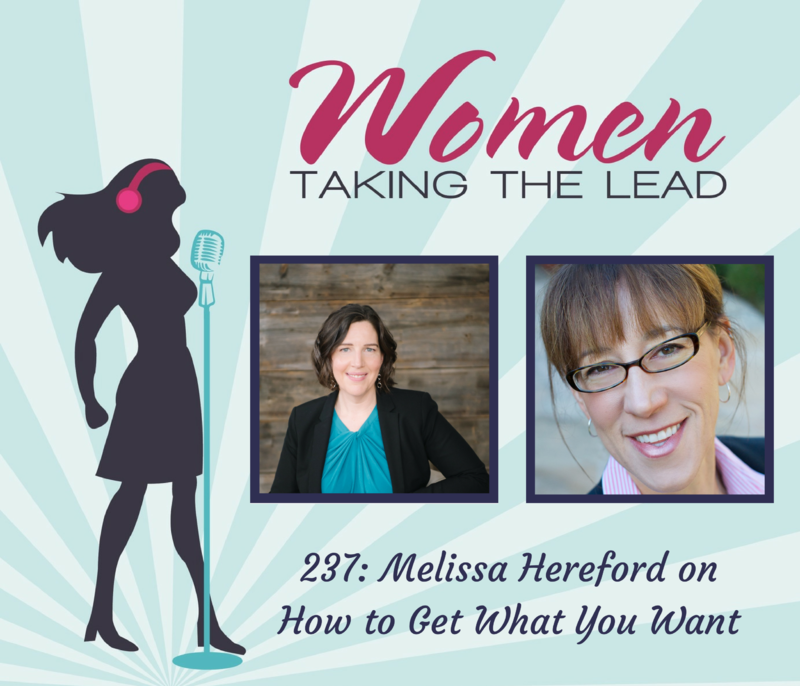 In this podcast, Jodi Flynn at Women Taking the Lead and I talk about all of the tools you already have inside you to make shifts in your everyday agreements that will change your life. 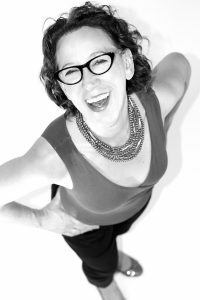 “Melissa was a fabulous guest for my podcast, A Healthy Curiosity. She was warm, relatable, articulate and knowledgeable without being in any way stodgy or condescending. Part of my mission is helping women who overwork and over-serve to put themselves on their own to-do lists, which inevitably means shaking up the status quo both at work and at home. 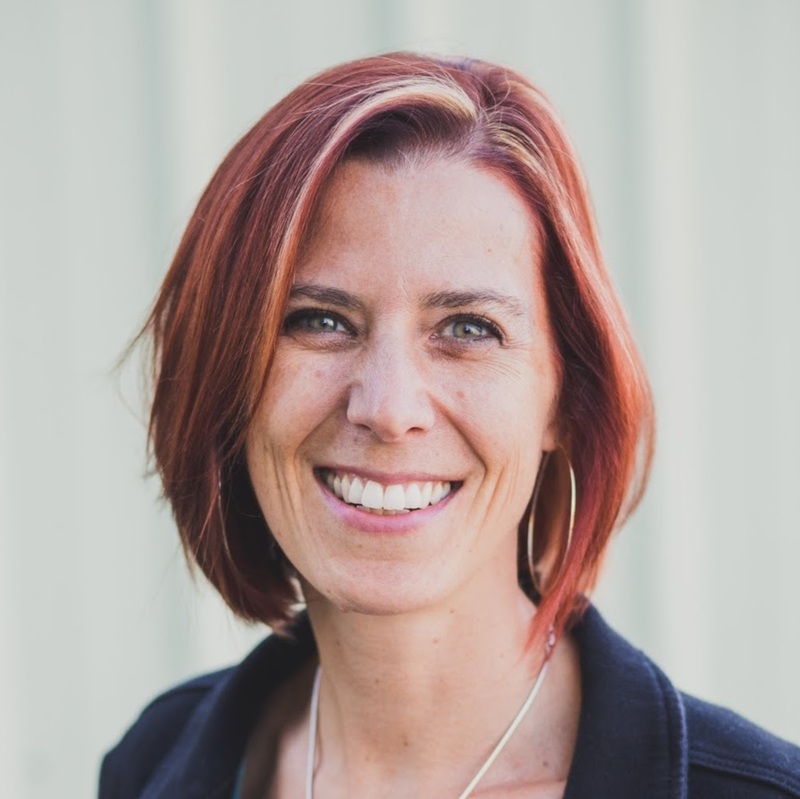 With her emphasis on mindset, Melissa was able to speak to not only the corporate women, but also the solopreneurs, busy moms, and caretakers who tend to sacrifice their own needs for everyone else’s. She offered great, practical advice about how to re-negotiate those unspoken agreements that run often unnoticed at home and at work. Which Matters More For Professional Success — Personality Or Intelligence? Want to know more about how Melissa can help you? Click HERE. Oh, hey! You still here? Ok, I do have more to say about this, if you’re interested. My interest in negotiation skills comes from the heart of all communication: what we say matters. And every conversation is a negotiation. When you want one thing and the other person wants something else, what do you say to come to an agreement that makes you both feel awesome? Every single class that I taught, every sales person I coached, and every customer I worked with said the same thing: this way of communicating makes my life better, helps me understand what’s important to my peers, my boss, my co-workers, my spouse, my kids…and to me. Studies consistently show that people find happiness through feeling connected to a community. And connection is formed through conversations. It’s through conversations that we decide what to study, where to live, find a job, meet new office mates, connect with mentors and allies, get promoted. It’s through conversations that we fall in love, share our grandest ideas, our hopes and dreams. It’s through conversations that we find happiness or sorrow. Happy people are more likely to meet their quotas and deadlines, to come up with creative ideas, and are more willing to speak up and share them. Studies have found that happy people are more likely to be successful, not that successful people are more likely to be happy. how to find your voice when working in an environment where you feel like an outsider. These challenging situations all rely on our conversations to either bring us together or drive us farther apart. Women in the US are being promoted in larger numbers than ever before, make up a larger percentage of the work force, and yet are still being dismissed and disregarded in meetings and overlooked for promotions. We read every day that there’s a crisis of women in leadership, that it may be a lack confidence or a lack of desire. Many of the women I work with look at the positions above them and see that the women above them are not having fun. Being a woman leader, the only one on the executive team or at the board table is lonely and often comes with insufferable compromises. Listening to “locker room talk,” having to smile when you’re told that you talk too much, being told that you should smile more. All that and so much more. Many women say, “No, thank you,” and opt out. You don’t have to give up who you are to imitate your peers. Whether you want to meet your sales goals or talk to your spouse, get your team aligned or get your kids to behave, these conversation skills work. One thing I know to be true: we are happier when we can talk to one another, when we are working toward common outcomes that move our agenda forward. Everyone, even the most confidant women (like you! and me! ), get emotionally triggered by comments and actions that leave us feeling angry, defensive, or quiet. We replay these moments over and over in our heads, wishing we could do it differently next time. But we don’t know what to do if we don’t have the skills. What if you had a framework to retake control in those moments, to shift away from reacting intuitively to responding with intention? Through curriculum, community, and coaching, you will learn to recognize when it happens and retake control of your conversations. Curious about how I got here? It’s not pretty. Read the whole story on the blog, just click here. Connect with me today and let’s start a conversation.